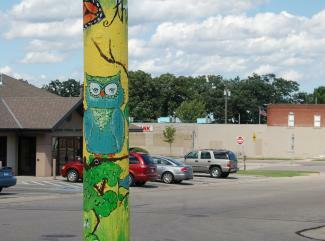 Look for the map for the “Poles Gone Wild” project at Spicer community businesses! 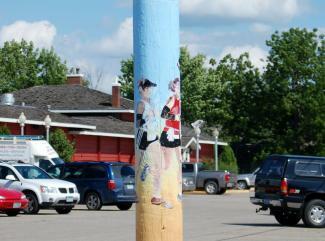 The Spicer Pole Project showcases local artists with a project that brings enjoyment to the artists as well as to visitors and residents of the city. 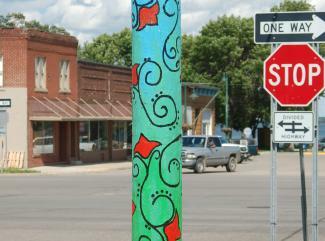 The project involves soliciting artists to paint utility poles in the City of Spicer. 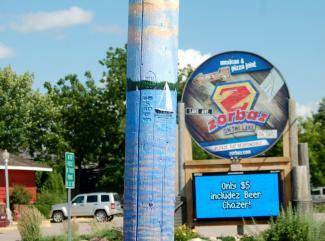 Approval was given by the City of Spicer and Xcel Energy. 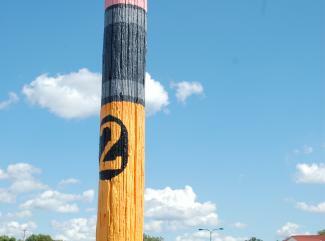 Several poles were identified as potential canvases for the artists to enhance in their own unique way. 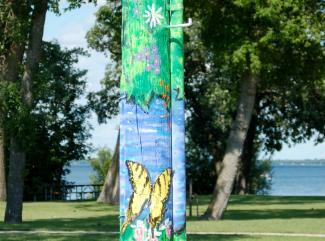 Artists have been asked to submit images of their work and/or sketch of their vision of a pole. Fifteen artists have been selected by three area art teachers. 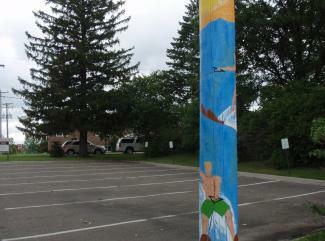 It has been fun to watch the artists paint the poles. 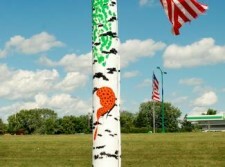 The artist’s poles will be identified by name plates and will be on display for several years. The idea for this venture came from the community of Pine Island, FL. which started their project in 2002. The Spicer Area takes great pride in their community and its appearance. We have completed several projects in the last five years. 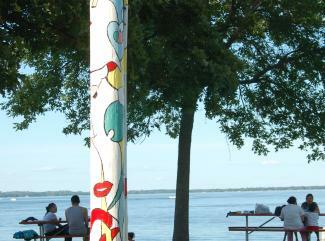 They include a wonderful playground, a large picnic shelter, a gazebo and this year a large deck overlooking Green Lake. We had a successful “Fish Gone Wild” project where twenty two decorated wooden fish were on display for the summer. 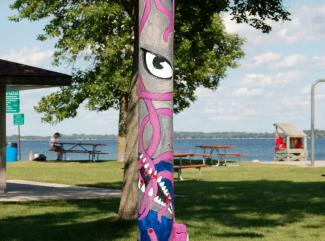 It was so successful that we were able to have a permanent fish sculpture installed in the park. 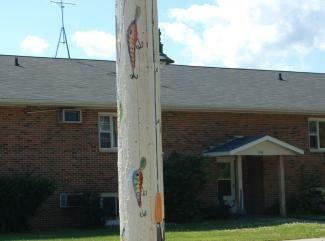 The Pole Project was made possible by several grants. We received paint from Valspar, a grant from the Willmar Area Arts Council, funding from the Spicer Commercial Club and the City of Spicer. 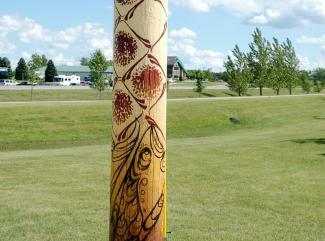 This project was also funded, in part, by a grant from SW MN Arts and Humanities Council through appropriations from the Minnesota State Legislature with money from the State’s general fund, and its arts and cultural heritage fund that was created by vote of the people of Minnesota on November 4, 2008.